I am preparing to attend Gc Smart Luxury Event in Nusa Dua, Bali next weekend, 26 - 29 April. How lucky i am, when i really need to take some break or vacation this thing is coming to me, but actually I am going to work on weekend, but it is not bad at all, i considered this as working...................... with pleasure (ok lumayan). 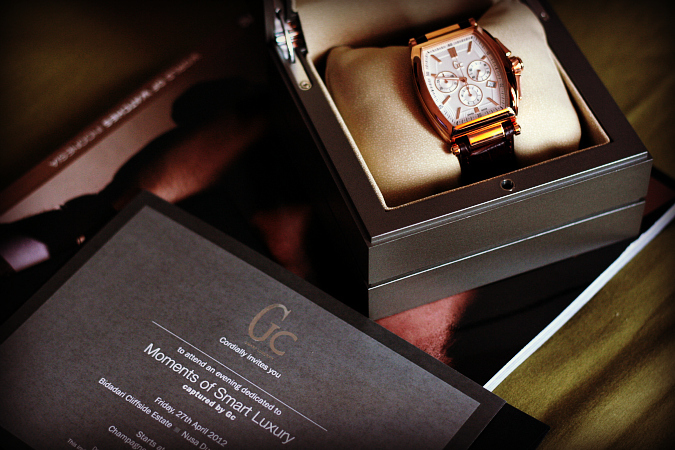 I will stay in Conrad Hotel, and I have recieved this beautiful Gc timepieces - the classic one in a rose gold - lucky lucky lucky. I wish this is my start, i will meet with a lot of people there, and actually I have already set up the wardobe for 4 days, buttttttttt i realized that they have set the dress-code at the first place, elegant black and white, i just like not ready hahaha, because i need to stand out zzzzz, no I'm kidding, but what i have prepared is far from black and white. But, whatever it is, its gonna be great event and wish me luck. wow i love this watch. perfect design.